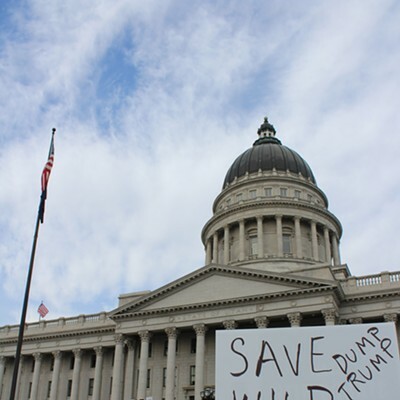 Precocious 10-year-old Bond is the founder of Kids Speak for Parks, a nonprofit that centers on education about the environment. 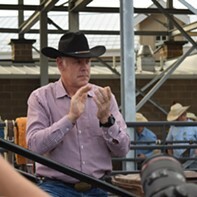 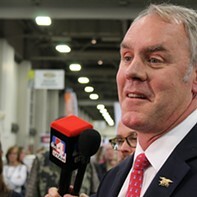 Under a mop of brown hair and wearing a permanent smile, Bond told the throng about his goal to visit the 27 national monuments that President Donald Trump asked Interior Secretary Ryan Zinke to review earlier this year. 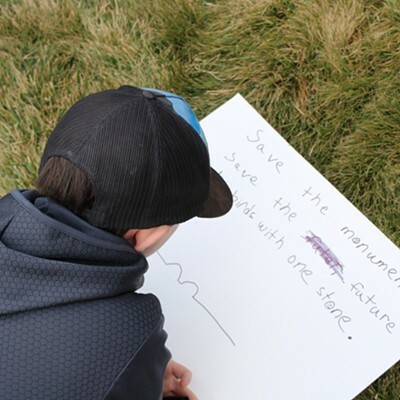 He’s doing this to learn more about the land he hopes to protect. 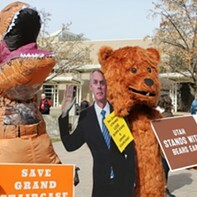 Kids Speak for Parks founder, Robbie Bond. 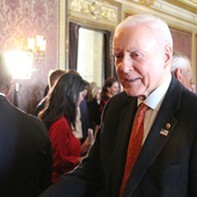 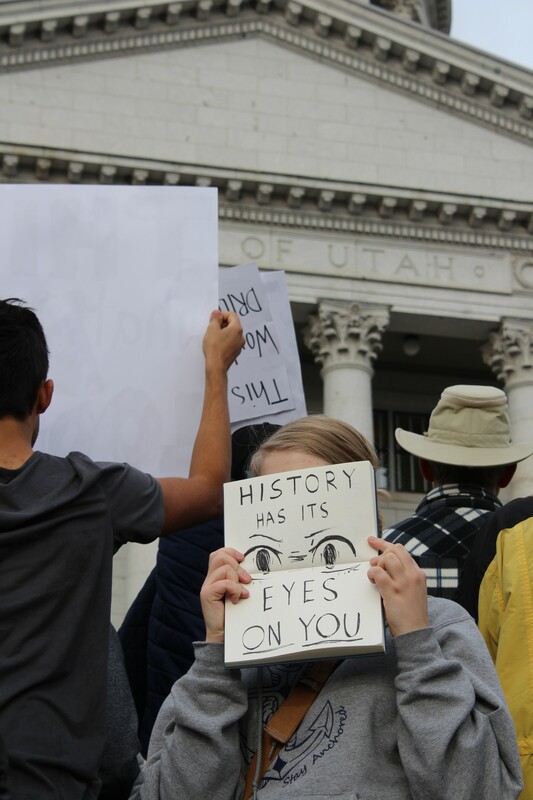 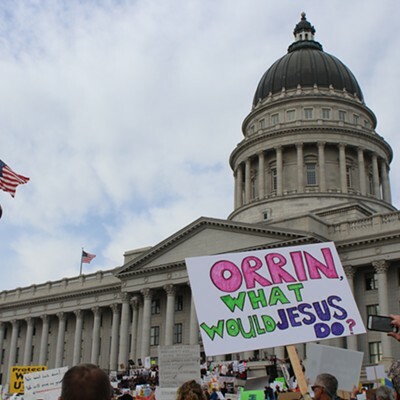 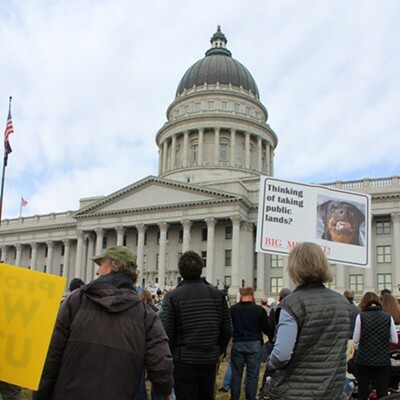 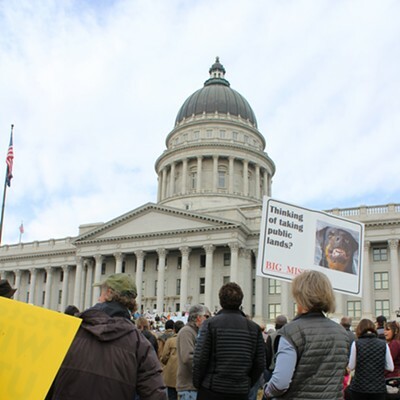 Bond was one of several voices who spoke to an estimated 5,000-strong crowd assembled on the south lawn of the Capitol in anticipation of Trump’s visit to Utah on Monday. 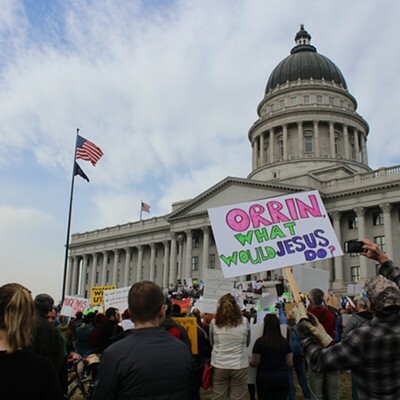 Participants waved signs and banners, some of whom wore brown bears ears hats that resembled pink pussycat hats that were popularized during the women’s marches this year. 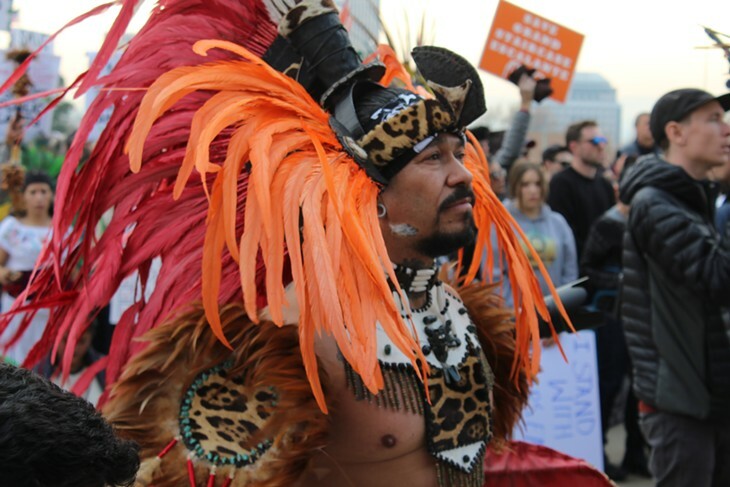 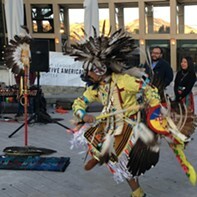 Numerous Native American attendees wore traditional dress and pounded drums. 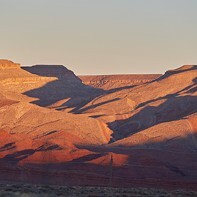 Less than a year ago, then President Barack Obama designated about 1.3 million acres in southeastern Utah as Bears Ears National Monument, and a component of the proclamation gave co-management to an Inter-Tribal Coalition. 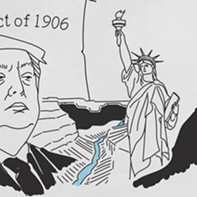 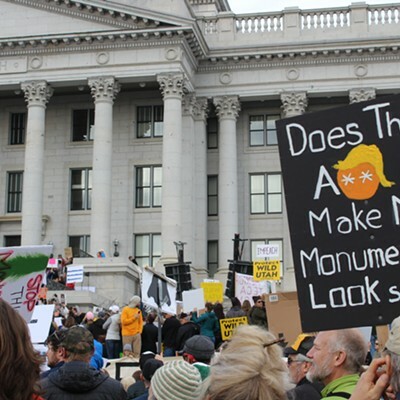 During his stop, Trump is expected to announce that he will significantly reduce that monument, as well as Grand Staircase-Escalante National Monument, which was created in 1996 by President Bill Clinton. 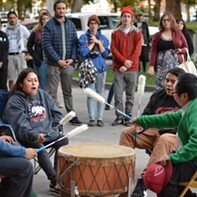 Ethel Branch, Navajo Nation Attorney General, reiterated the sacred connection Native Americans have to the land and its ability to unify tribes that aren’t always in concord. 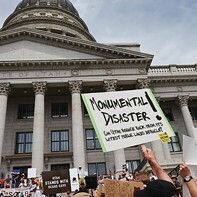 While framing the conversation as a “family values” issue, Salt Lake City Mayor Jackie Biskupski emphasized the environmental protections tied to the national monument status. 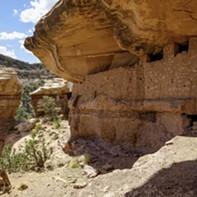 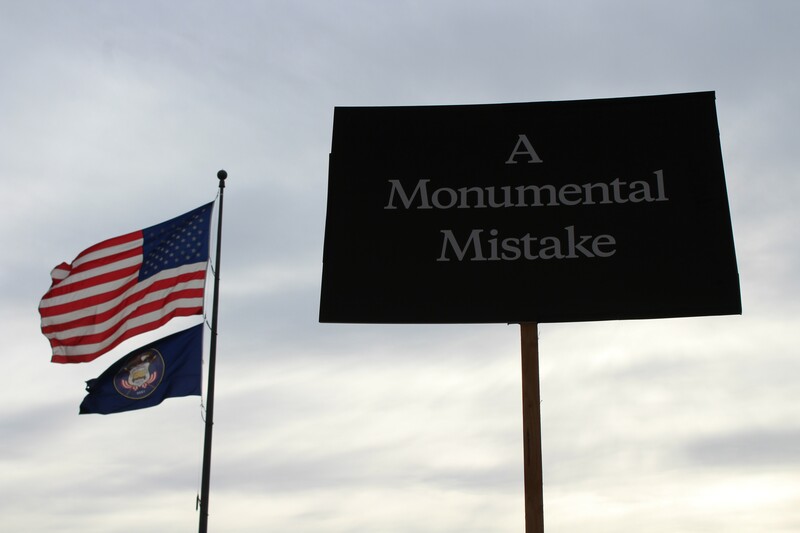 Supporters of the national monuments worry that without the extra safeguards that a designation brings, the land will be opened up to the extractive industry. 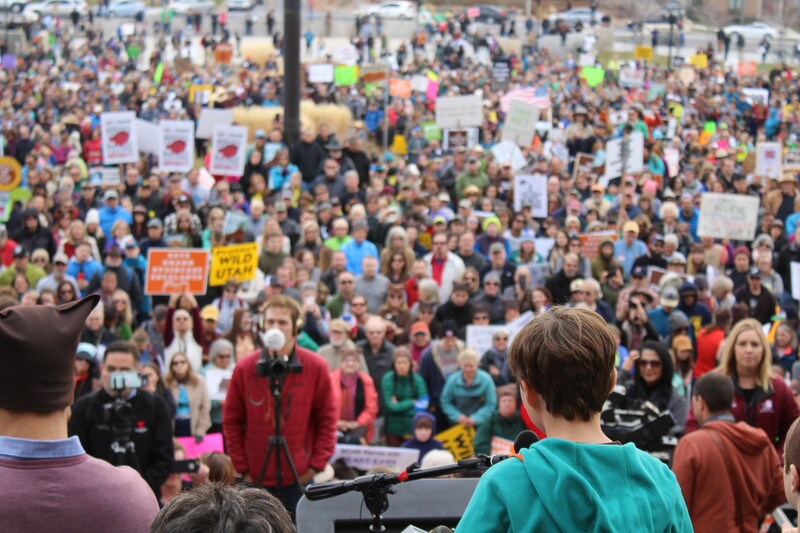 Mayor Jackie Biskupski embraces one of her children after delivering her speech. 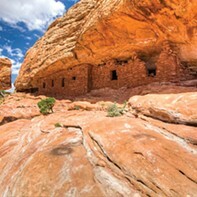 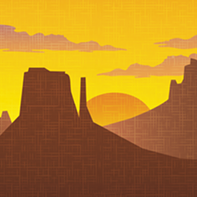 Newer of the two, Bears Ears has received a bulk of the attention. 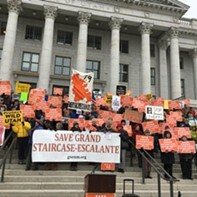 But Christa Sadler, a paleontologist, highlighted the scientific importance of Grand Staircase-Escalante National Monument. 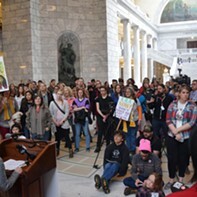 Sadler, author of Where Dinosaurs Roam: Lost Worlds of Utah’s Grand Staircase said 85 percent of Utah’s plant species can be found within the Grand Staircase borders, “including a lot of species that are endemic or very rare. 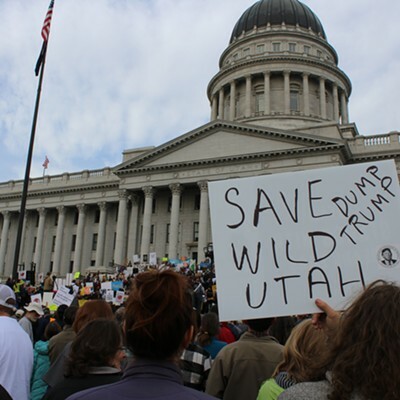 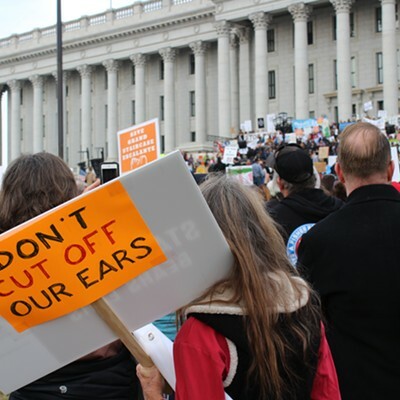 Looking out at the mass of protesters, community organizer Olivia Juarez with the Southern Utah Wilderness Alliance, asked that the crowd to press politicians to divorce a view that public lands should lead to profits.